Ain’t that the truth? 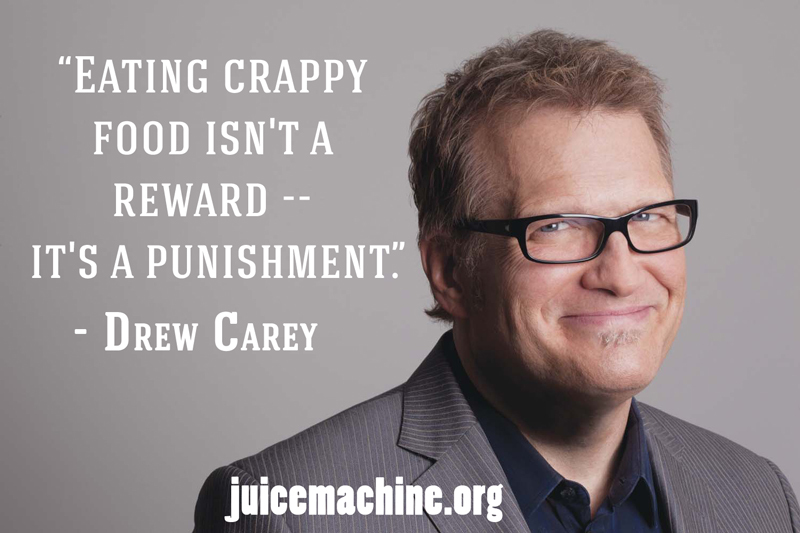 Well said Drew Carey. We are programmed from birth that the reward for a job well done is fatty fast food or sugary deserts that just leave us feeling sick and lethargic. That’s no reward! By changing this programming we can change our lives. Would you like to know a great reward for a job well done? A tall glass of Ultimate Beet Juice!